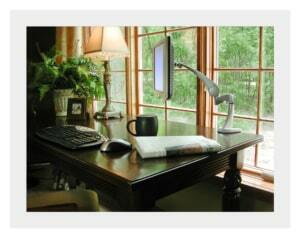 Working From Home May Provide Tax Benefits | Fournier Law Firm, Ltd. Working from home a few days a week or even full time has become a more popular option and benefit offered by employers. Not only does it allow for flexibility in the work day, it can help save money normally spent on commuting costs, eating out, and wardrobe purchases, to name a few. Another cost saving measure can come in the form of a tax write off, the Home Office Tax Deduction. According to an article written by Margaret Heidenry published by realtor.com, “the home office deduction allows you to write off part of your home expenses on your business tax return by separating out the costs associated with using your home for personal purposes (making pancakes) and business (answering work email).” It is important to understand, however, if your work from home situation actually qualifies for a home office write off. First off, the “home office” has to be an area of your home used solely for the purpose of conducting the work associated with the business. It cannot be used for any other functions unrelated to the employee’s work and still qualify for the deduction. It is also required that the work from home arrangement be in place in order to provide convenience to the employer, not simply a preference of the employee. An example of this would be if the employer did not have a physical office space for the employee to work from. If these qualifications are met, claiming the home office on your taxes can be completed via a couple different methods detailed by Heidenry’s article.